The Plant Operations Division (POD) and Transportation Committee held concurrent meetings in Fort Worth, TX. The two committees participated in a joint tour of Gerdau’s nearby Midlothian mill. The POD meeting focused on energy issues, with presentations from the Consumer Energy Alliances, as well as a discussion by a Washington, DC-based energy attorney, who reviewed relevant Federal energy regulations that will impact the energy markets of North America for some time. The group received an update on market outlooks for the remainder of 2016. SMA Associate member companies Nalco, Zinc Nacional, and Phoenix Services provided technology updates. 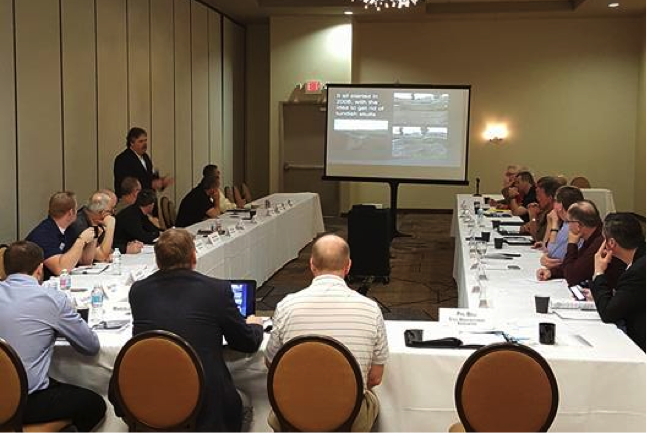 The Transportation Committee meeting included supply chain discussions with the BNSF and TrinityRail, as well as a topic on resilient construction and sustainability initiatives with Lehigh Hanson. The group also discussed local truck weight limits, changes to trucking Hours-of-Service rules, and the Notice of Proposed Rulemaking to remove Surface Transportation Board commodity exemptions pertaining to scrap and steel products.